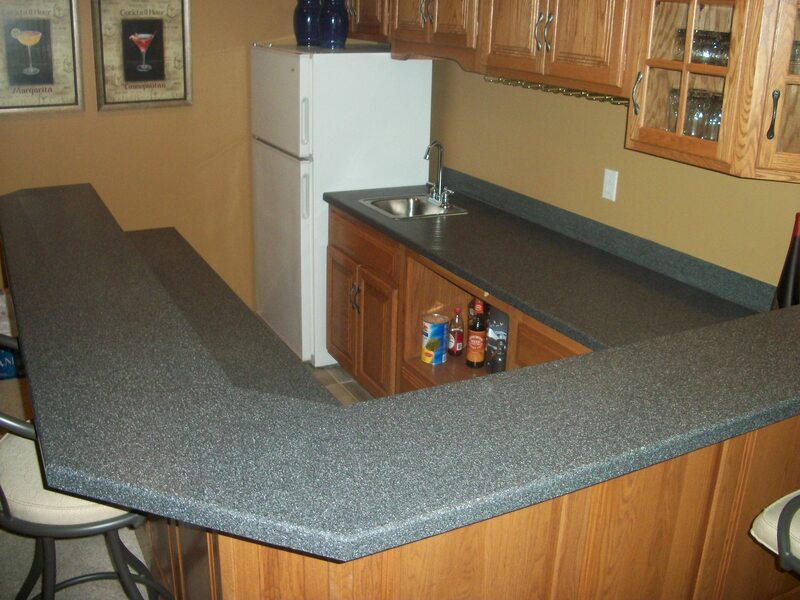 Give your home a makeover with new Cambria Quartz Countertops. You can take your kitchen and wet bar from this….. 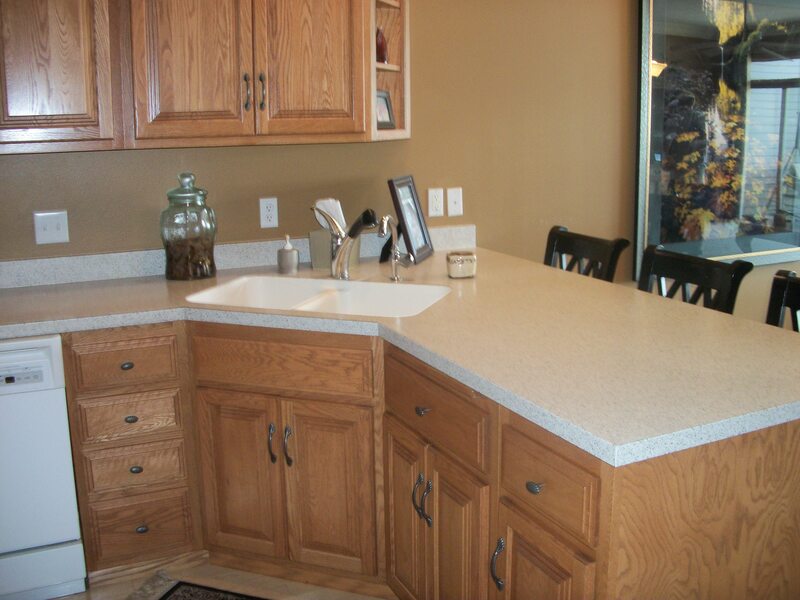 This lovely condo on east Lake Okoboji took on a complete makeover. The customer replaced all the old countertops and flooring. Cambria quartz countertops took the place of the solid surface that was in the home for 15 years. 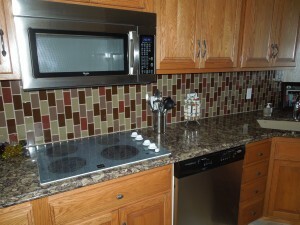 In the kitchen they remove the hardwood flooring and replaced it with ceramic tile. 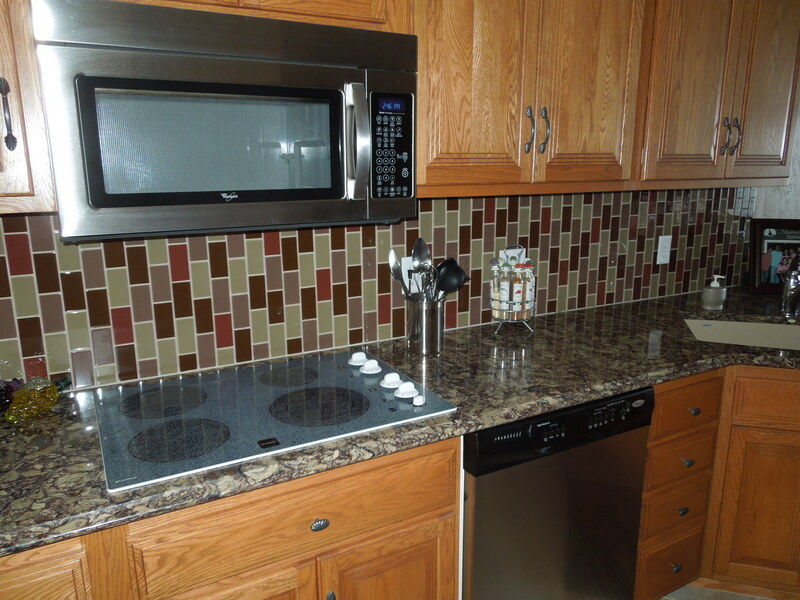 The kitchen and wet bar both received beautiful glass tile backsplash from Crossville Tile. To complete the project, the customer replaced all the cabinet hardware and updated their appliances to stainless steel. 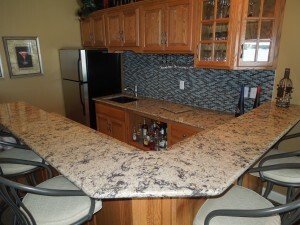 Can you name the two Cambria colors used in this project? 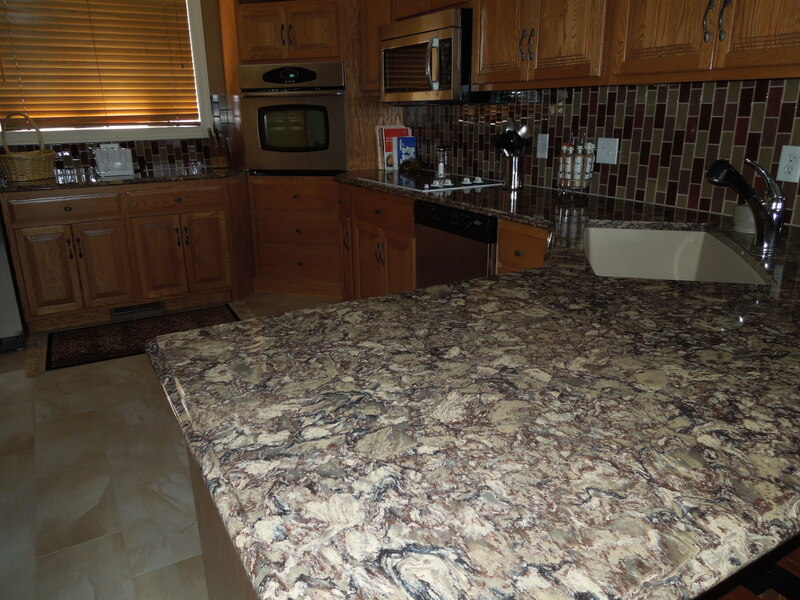 Quartz countertops are made from crushed pure natural quartz and combined with a small amount of pigment and resin to create a slab of uncommon beauty and strength. This combination of materials allows Quartz to be a dense, non-porous stone that delivers unsurpassed reliability and performance – scratch-resistance and stain-resistance with no sealing required in a large variety of naturally beautiful, consistent colors. 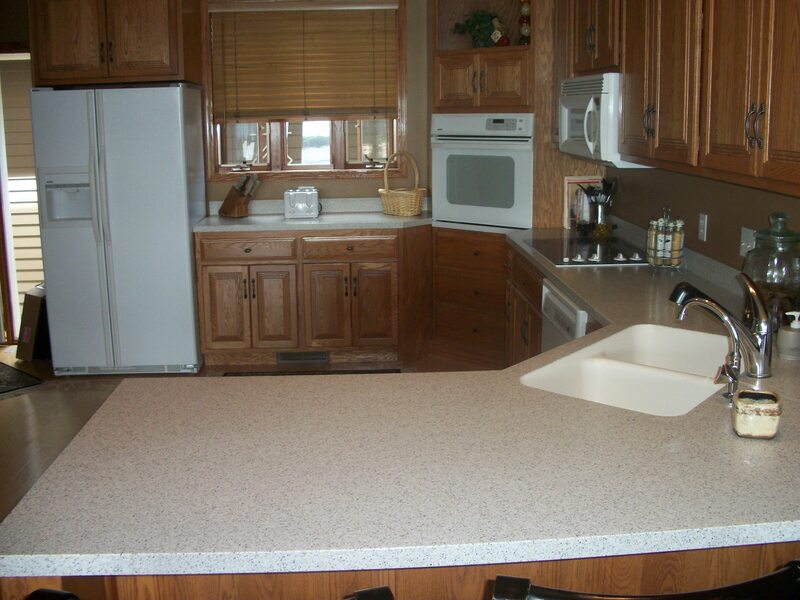 Quartz is virtually maintenance-free – it doesn’t need to be sealed and cleaning is a cinch. 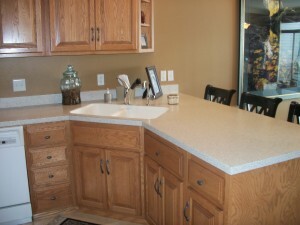 At the Stone Center, we carry all the countertop product lines including quartz, granite, solid surface and laminate. Looking for a special tile for your backsplash or flooring? The Stone Center has a variety of tile options. Here you can find tile for the backsplash, floors, fireplace surrounds, shower stalls, and tub decks. Come in and choose from glass, ceramic, porcelain, stone mosaics, and more.